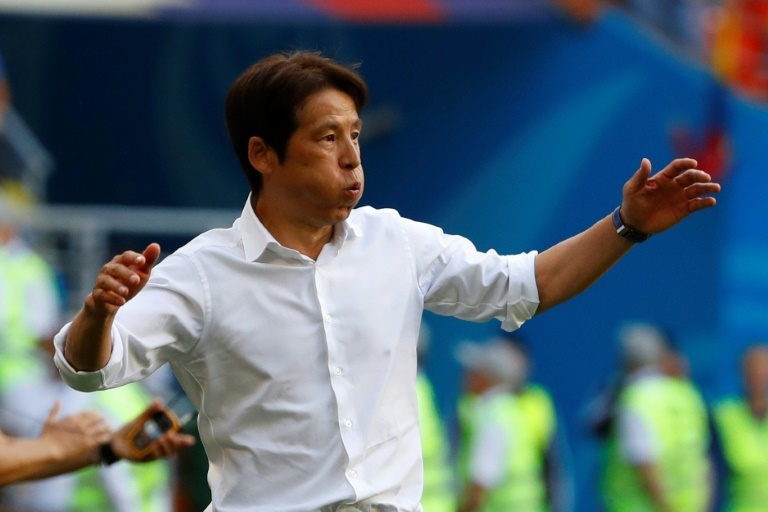 Japan coach Akira Nishino joked about organising a parade through Saransk to celebrate a slice of World Cup history on Tuesday after his side shocked 10-man Colombia. 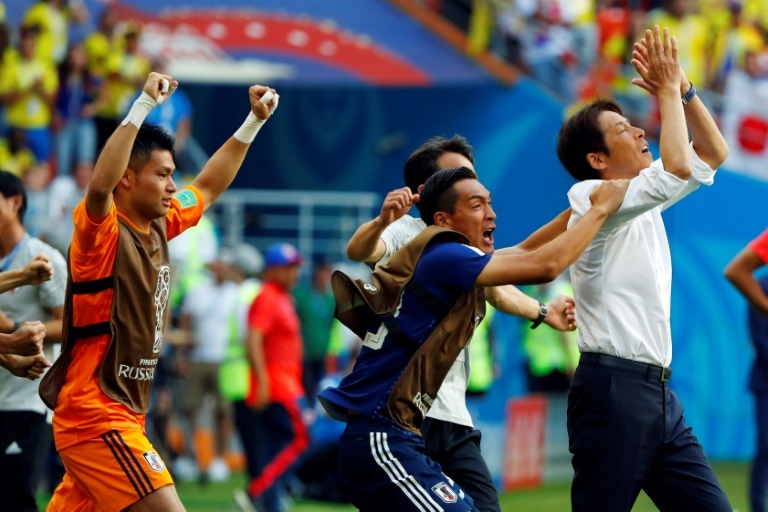 The Japanese were widely written off as Group H contenders when Nishino was brought in as head coach in April, leaving him precious little time to prepare for the Russian showpiece. However, he was in high spirits after his side won 2-1 in their opening match to became the first Asian side to beat a South American team at a World Cup. "If it was just one game, we'd have had a parade on the streets of Saransk, but we have more games to come, so we will save our celebrations," quipped the 63-year-old when asked how Japan would celebrate. Colombia played almost the entire match with a man short after midfielder Carlos Sanchez was sent off for a handball in a dramatic opening to the match. Shinji Kagawa converted the resulting penalty in the sixth minute only for Juan Quintero to equalise with a free-kick that flew under the Japan wall to make it 1-1 at the break. However, Japanese perseverance paid off as forward Yuya Osako leapt highest at a corner to net a goal he described as a "dream come true" with just over a quarter of an hour to go to seal the deserved victory. "We aimed high coming into this match and we got the result," said Nishino, who took over at the helm after the Japanese FA sacked his predecessor Vahid Halilhodzic. "Every single player was very positive, especially in the second half. "To be able to celebrate this victory is a big advantage, but the second and third games will also be tough," he added, with Senegal to come on Sunday followed by Poland on June 28. The Japanese head coach praised his side for using their numerical advantage to wear out Colombia's forwards. "From the start, I thought we could be very aggressive and we had the advantage of more players," said Nishino. "After we scored (the penalty) we gave them a few chances, we didn't finish the first half very well, so at half-time I told the players to keep moving. "It was good that we could deprive their front players of stamina." The Japan boss was pleased with the way his team neutralised the threat of Colombia's star forward James Rodriguez, who came off the bench for the final 30 minutes after labouring with a calf strain over the weekend. "When James came on, which I knew would happen, the team defended as a whole, rather than just a player marking him," said Nishino. "We controlled the ball better, which is why we got the second goal." 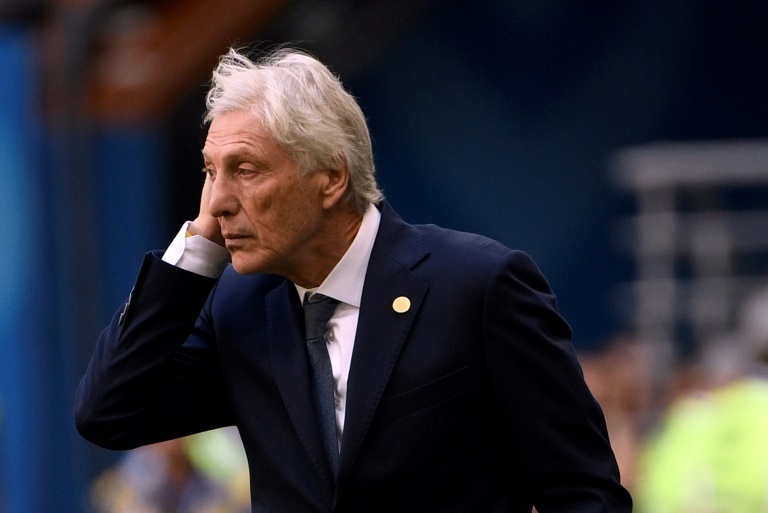 Colombia coach Jose Pekerman admitted the defeat hurt. "We were hoping to start with victory. The positive side is that the team rose to the occasion and equalised even after losing one of our key players," said the Argentine. "That's a good reaction and shows we can move forward into the next matches and hopefully make up for this defeat. Right now, the pain we feel is because despite that huge effort, we lost our opportunity. "Even if we had subbed on fresh players, it was hard to get back possession and Japan deserved the win."